Optimize your customer experience by communicating with them better. Provide better customer support by immediately answering their questions! Never miss a new lead. Olark reveals who’s on your website and exactly what they are doing. Even see what’s in their shopping cart. Get instant feedback from your customers so you know you're making them happier. Discover how to improve your product and experience. Chat when it works for you. Language and colors can be fully customized to suit individual needs. You’re always in control with Olark. 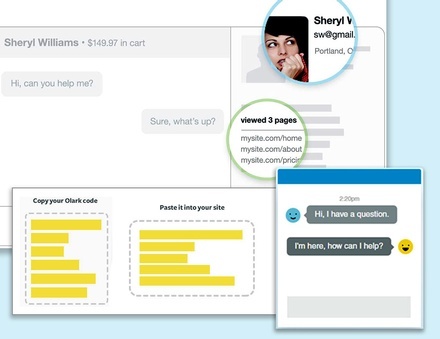 You decide when to chat, with which customers, and how many chats a time. When you're not available, Olark will take a message.